When was the last time you heard the word `deficit’ coming from the government? As recently as a week ago when they were discussing about AHPETC. But now that the elections are over, The Housing and Development Board (HDB) on Friday (Sep 18) reported a deficit of S$2.02 billion for the financial year ended in March 2015. This is 2 per cent more than in the previous year, where a deficit of S$1.97 billion was incurred. The bulk of the FY2014/2015 deficit comes from HDB’s home ownership segment, which covers the development and sale of flats. This came in at S$1.75 billion, down from S$1.93 billion in the previous financial year. The number of BTO flats launched by HDB has also been declining in recent years, from about 27,000 units in 2012 to about 25,000 in 2013, and to just under 23,000 last year. However, the Housing Board spent more on its other functions last year. 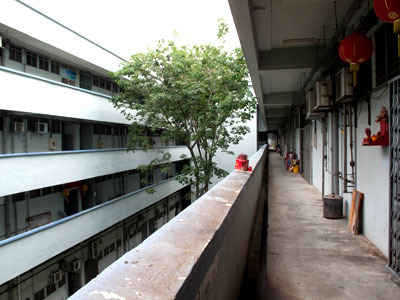 It spent S$6 million more in FY2014/2015 compared to FY2013/2014 on upgrading programmes to improve older housing estates. The HDB also spent S$124 million more in the last financial year on residential ancillary functions, such as lease administration and the management of ancillary facilities such as car parks in housing estates. As for its tenancy and management of commercial and industrial properties, HDB recorded a S$66 million drop in surplus in FY2014/2015.